How Many? is not like other counting books. In How Many?, there are multiple things to count on each page. Students might count one pair of shoes, or two shoes, or four corners of a shoebox. They might discuss whether two shoes have two shoelaces, or four. They might notice surprising patterns and relationships, and they will want to talk about them. 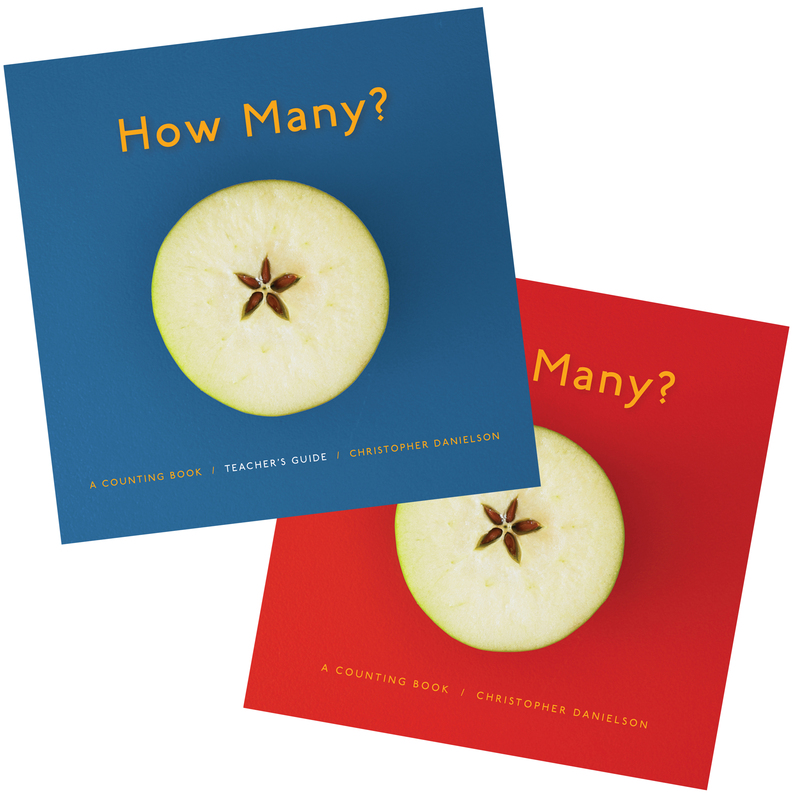 In the accompanying Teacher's Guide, Christopher Danielson explores what deep mathematical ideas will bubble up in a How Many? conversation, such as counting, number language, units, grouping, partitioning, place value, and vocabulary. Throughout, he shares stories and excerpts from real classrooms where he facilitated How Many? discussions. Danielson helps teachers anticipate what students might notice and gives practical suggestions for facilitating rich conversations with students. Danielson's interest in students' ideas is infectious, and readers will soon find themselves seeking out opportunities to ask young mathematicians, "How Many?" The Teacher's Bundle includes the 112-page Teacher's Guide, 36-page hardcover student book, and access to digital formats. Additional student books are available separately as single copies (hardcover) or 5-packs (softcover). Click here to order additional student books. Christopher Danielson has worked with math learners of all ages, from teens in his former middle school classroom to his own children, from calculus students to elementary teachers to families who visit his Math On-A-Stick learning space at the Minnesota State Fair. Chapter 1: Why Another Counting Book?